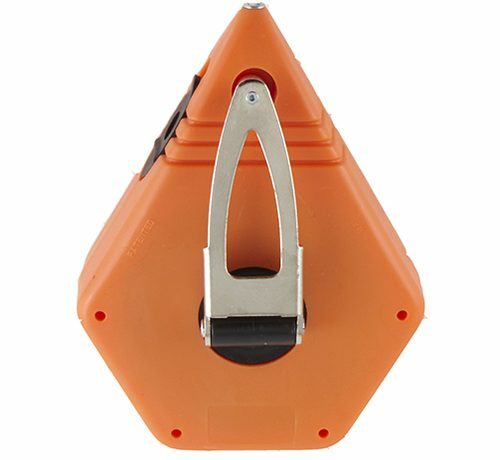 A chalk line or chalk box is a very simple tool that performs an essential task: it provides a perfectly straight line that is temporary to almost permanent. The material cost to do this essential task is very reasonable. In fact, once you own the reel, it’s almost free. 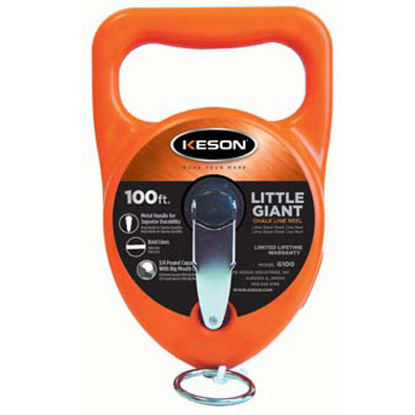 At Keson, we’ve taken the time to learn a lot about chalk line reels from end-users. As the only US manufacturer of chalk and chalk line reels, we are in a unique position to interact and respond with the people who build in and build up our communities. 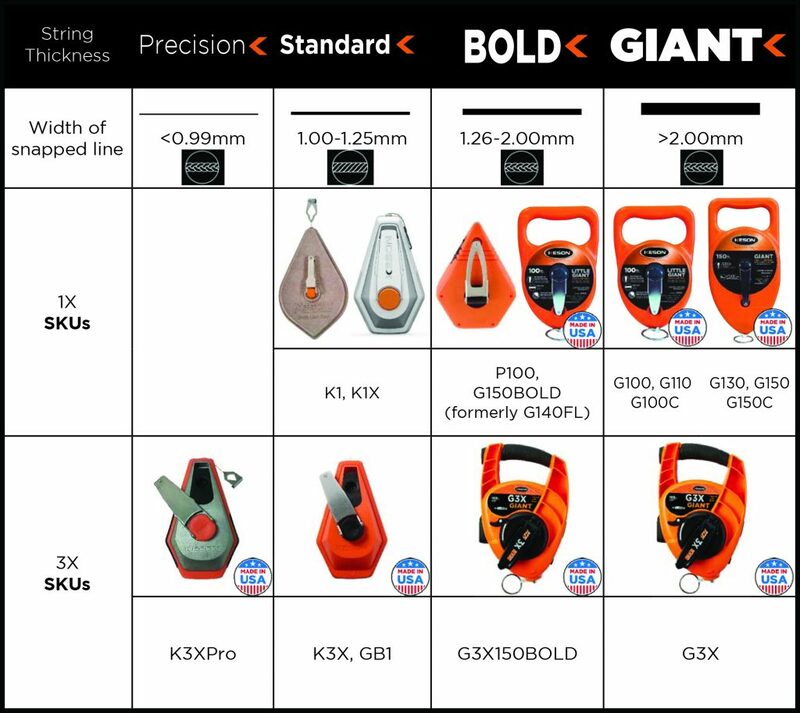 These builders have told us a lot about what’s important in a chalk line reel, and what works and what doesn’t. We continuously add to and improve our chalk and chalk line reels based on the feedback from end-users. 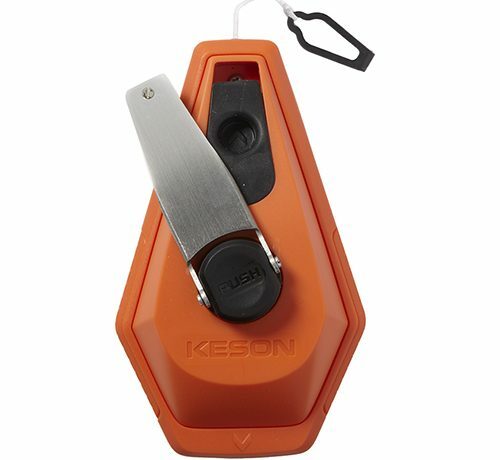 The more chalk you can functionally put into a chalk line reel, the more snaps you can get per fill up. 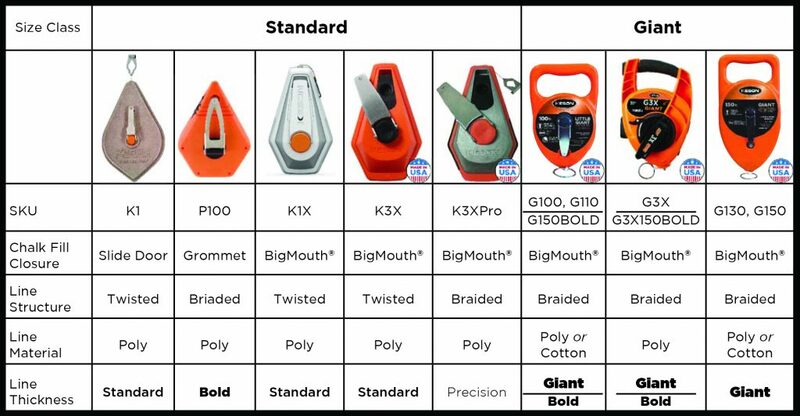 All Keson chalk line reels use a BigMouth® Grommet (except the K1). 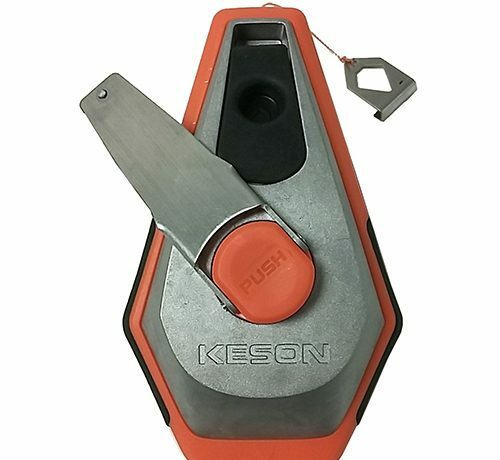 Two advantages of a grommet: openings are round, just like the openings for chalk bottles, and the grommet is an easy open/easy and securely close system. Slide doors are rectangular, and can accidently slide open. The higher the gear ratio, the faster you can reel in a chalk line. As chalk lines are pulled from the reel, and as they are retrieved, the string comes into contact with the chalk inside the reel. This is what coats it for the next strike. Go out or come in too fast, and you are missing the opportunity to fully coat your line. Also, too rapidly bringing in a line can cause jams and string twisting. How a string is put together determines how much chalk a line holds and how much chalk a line lays down. Strings of the same diameter and material perform differently based on their structure. What a string is made of impacts how much chalk a line holds and how much chalk a line lays down. Strings of the same diameter and structure perform differently based on their material.